As Winchester Heights families, led by the Winchester Community Action Board, gathered to raise funds for more playground equipment, their children participated in Environmental Health education. 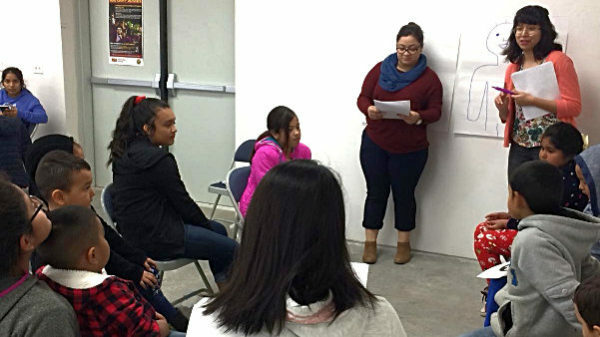 While families lined up to buy duros, a puffed wheat snack, Linda Cifuentes, SEAHEC’s Capacity Building Coordinator for Winchester Heights, and Brenda Sanchez, SEAHEC intern, held two Environmental Health Workshops funded by the Environmental Protection Agency on pesticides. The workshop was geared towards children ages 5 to 10 though all youth were invited to participate. They taught 10 participants ages 5 to 18 on what pesticides are, how exposure occurs, symptoms of exposure and prevention. All the participants answered questions and shared their thoughts, passing the assessment given to them at the end. We look forward to the continued participation of the community in community events that will strengthen neighborhood ties and community capacity to advocate for resident’s needs.